After accomplishing many influential tours and journeys, both in India and abroad, FitZup collaborated with Atmantan this time. Atmantan is an international, luxury wellness destination in Mulshi, Pune. Atmantan’s approach towards fitness is about the holistic amalgamation towards the three essential and primary parts of human life i.e. Atma (soul), Mana (mind) and Tann (body). Individuals come here for integrated wellness retreats and programs, for the purposes of rejuvenation, relaxation, Detox, fitness and even to indulge in a pampering spa holiday. Nestled on a unique crystal hill, (that lends the land healing frequencies), Atmantan spans 42 acres of lush green valley, & has it abode in the Majestic Sahyadris, overlooking the pristine Mulshi Lake. Atmantan is the ultimate destination for reconnecting with yourself, revitalizing your body and refreshing your mind. It is a place for transformation. 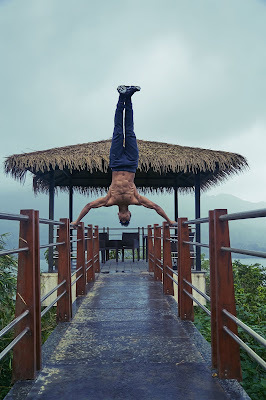 Esteemed celebrities like Kishwer Merchant, Pryanca Talukdar, Pooja Gor, Riddhi Dogra, Sreejita De, FitZup Pro Athlete Sahil Rasheed and FitZup Athlete Mervin Majuran were a part of this retreat journey, a transformative and educational experience that is honed around the replenishment of their body, mind and soul. Fun-filled activities and drills like range flow & fire workout, calisthenics workout, indoor water yoga by Atmantan, cooking class with Atmantan Head Chef, forest flow run around Atmantan followed by Tabata, were some of the activities organized by FitZup X Atmantan. “I was surprised to see Atmantan wellness centre to be India’s first to truly understand fitness and wellness. Generally, such wellness centers are present in European countries but Atmantan Wellness Centre has taken the initiative to bring wellness in India. They focus on all three aspects of overall wellness – Mind, Body and Soul. They have a farm to kitchen concept where they grow the food which directly goes to the kitchen to cook and is later served to the guests. The luxury is no less than a 5 star hotel. The staff greets with Namaste giving the pure Indian touch to the centre. The Monsoon Retreat was truly an amazing experience with Atmantan Wellness. 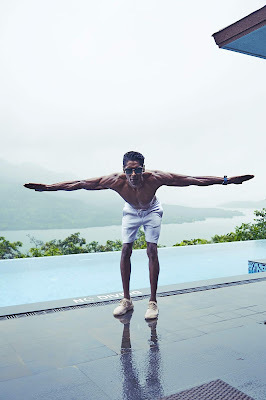 The project was executed with the well-known celebrities and influencers; soon it will be available to the public so that they can also experience the Retreat just like the celebrities”, said Sunny Arora, Founder of FitZup and Fitness Enthusiast about this celebrated fraternization.